Pee Wee King performs "Bonaparte's Retreat",live video. Bonaparte's Retreat" is the name of two related songs. The original was a wordless melody that existed as various fiddle tunes dating back to at least the late 1800s and probably well before that. 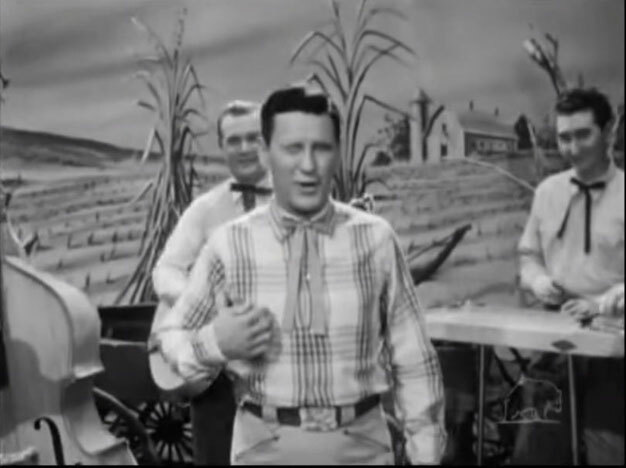 In 1950, American country music artist Pee Wee King recorded a modified version of the song, with lyrics added, which he also called "Bonaparte's Retreat". This latter song has been covered by many country artists. The title of the original "Bonaparte's Retreat" is an apparent reference to Napoleon Bonaparte's disastrous retreat from Russia in 1812, and some earlier British folk songs told of that event. In 1937, American ethnomusicologist Alan Lomax, while travelling through Kentucky, recorded violinist William Hamilton Stepp playing "Bonaparte's Retreat". This recording was inducted in 2016 into the Library of Congress's National Recording Registry.